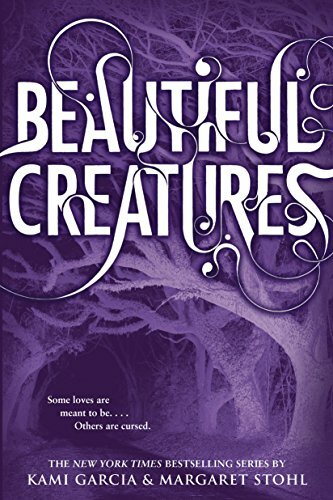 I wasn’t entirely sure what I was getting into when I picked up Beautiful Creatures. Like Twilight, it seems like the kind of YA paranormal romance that people love to hate. Somehow it managed to stay off my radar until now despite being released while I was still teaching high school English, but lately I’ve been wanting to read light, fluffy fun stuff and nothing else and I’ve had to do some targeted browsing to find more of it. Thus Beautiful Creatures appeared one day as I was tunneling deep through a rabbit hole of fantasy stories written for audiences decade(s) younger than me. When I noticed it was set in the South, I was sold. Something about the advent of summer makes me crave books about hot, sticky, swampy places, and if dark secrets and magic are involved, all the better. And you know what? For the most part, I really enjoyed myself. Beautiful Creatures is a perfectly adequate diversion if that’s what you’re in the market for. If I put on my snobby English major hat, sure, I could pick it apart like a kid in science class armed with a scalpel and presented with a formaldehyde-soaked frog. But why would I want to do that, when I could sit back with a sweating glass of sweet tea, slide on my shades, and let the story of reclusive witches and dark magic wash over me? Which, I should note, is even easier to do if you choose the audio version, read by the silky-voiced Kevin T. Collins in a delightful southern drawl. His voices for the doddering elderly aunts had me in stitches. I say, if you like it, don’t fight it. Beautiful Creatures is lazy summer fun that goes down like ice cream on a hot afternoon. 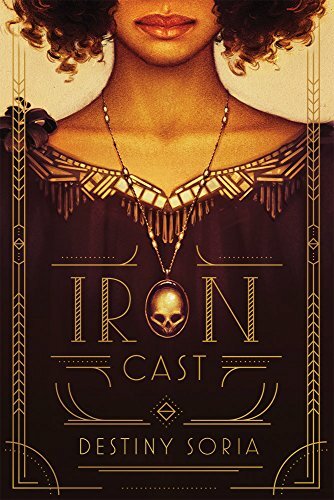 Iron Cast is a fantastic escape read. It’s also woke as hell, which is a magical combination that warmed my heart and filled me with hope and determination in a season in which I am sorely lacking both. Historical fantasy to the rescue! In an alternate version of pre-Prohibition Boston, Ada and Corinne work and live at the Cast Iron Club, a nightclub/cabaret hybrid where hemopaths like them perform nightly shows using their special set of skills. Hemopaths have a blood abnormality that gives them the ability to create illusions and control other people with their art. For example, Ada is a violinist and can influence people’s emotions with her music, while Corinne exerts similar power by reciting poetry (how delightfully nerdy is that?!). Along with their power comes the inevitable Achilles heel—they are sensitive to metals, particularly iron. Even the proximity of metal—say, a gun in someone else’s pocket—is enough to cause burning and discomfort, which when you think about it is a heck of a liability considering how widely prevalent metal objects are. As you might guess, hemopaths are viewed by the general public with anything from suspicion to fear to outright violence. The book opens with a breathless scene in which Ada is incarcerated in a hospital for hemopaths and Corinne comes to break her out. Even after the successful escape, however, things are only going to get worse for them as the tide of public opinion turns ugly and the few safe havens hemopaths rely on are eliminated. You can feel the relevance and timeliness wafting off the pages. I was totally enthralled by this story. It’s a killer premise paired with brilliant execution. I’m always excited to find something I haven’t seen before, and I’ve never seen anything like the world of Iron Cast.